POLICE are hunting a driver following a fatal hit-and-run on a busy Edinburgh road. 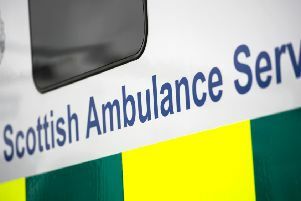 A 57-year-old man was struck by a vehicle on Buckstone Terrace after leaving a nearby restaurant at around 8pm on Thursday night. The victim, from West Lothian, was hit by a small dark-coloured car which continued south along Comiston Road towards the city bypass. Another motorist raised the alarm after finding the victim on the road minutes later. He was taken to Edinburgh Royal Infirmary but was pronounced dead later. A large section of the road was closed until late afternoon yesterday, to allow forensics experts to carry out inquiries. Officers combed the scene and took photographs within the extensive cordon, while a tent was erected at the point where the man was found. Local officers from Police Scotland’s roads policing unit have been conducting door-to-door inquiries with residents and gathering CCTV evidence in the Buckstone Terrace and wider Comiston Road area. They do not have a registration number for the car, and the officer leading the investigation has called on the driver to come forward. Inspector Richard Latto said the road, seen as one of the main arterial routes between the capital and the Edinburgh City bypass, had been busy at the time of the incident. He said the victim had left the nearby Charwood Restaurant alone, before being hit in the left-hand southbound lane of the four-lane road. Inspector Latto said he was “not in a position to speculate” if the victim had fallen on to the road or stepped out before he was hit. He added: “Very tragically, a male has lost his life, and it’s crucial that the driver comes forward. The man had left there, made his way on to the footpath, and he was struck on Comiston Road. “We haven’t identified the vehicle, it didn’t stop, and it’s a dark-coloured small car.